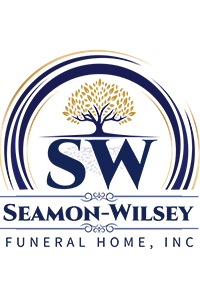 Obituary for Patricia Woods | Seamon-Wilsey Funeral Home, Inc.
Patricia A. Woods, 75, of Rochester, NY, died peacefully in her bed, comforted by the love of her family, on June 7, 2018. Patricia (Pat) is survived by her daughter and son-in-law, Jennifer and Brian Ellsworth; her grandchildren Amber and Blaine Freeman and Marie Ellsworth; her brother and sister-in-law Kenneth and Beverly Wagner; her sister Jean McClure; her nieces and nephews Matthew and Denisse McClure and Penny McClure and her fiancé Andrew Auriemma; grandnieces Victoria and Gemma McClure, and many cousins. Pat was born June 12, 1942 to Kenneth and Marie Wagner of Rochester. She graduated with a Bachelor of Science in Nursing degree from D'Youville College in Buffalo, NY and served others as a public health nurse for her entire career. Pat loved stargazing, piloting small aircraft, animals, reading, genealogy studies, and most of all, spending time with her family and friends. Her Funeral Service will be held at 10:00 AM Friday June 15, 2018 at St. James Church of Peace of Christ RC Parish on 130 Brett Rd., Irondequoit, NY 14609. Friends will be received 6:00PM - 8:00PM Thursday June 14th at the Crawford Funeral Home, 495 N. Winton Rd., Rochester, NY 14610.